This is Android Smart IPTV Box Include 12 Months IPHD TV shows. 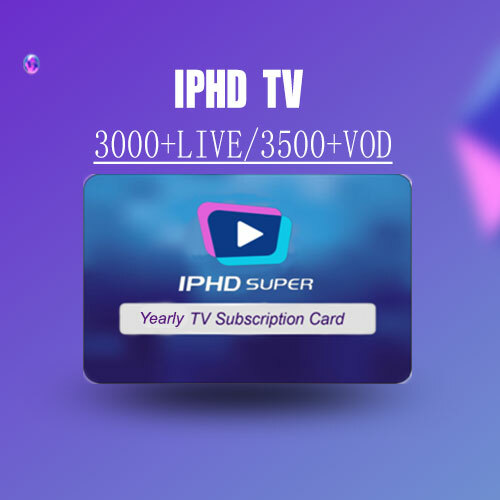 Up to 2800+ Live and 3000+VOD IPTV Channels, the most cost-effective IPTV in the world. More than 39 international IPTV programs, truly let you to see the world just at home. Popular Sports Event, News, discovery, Canal Plus, movie, cartoon, music, etc. Let your home entertainment get a amazing upgrade. Thousands of the latest HD TV series keep updating, let you enjoy the private cinema. Automatic remind to update and renew. More convenient, More smooth, More clear. UI function let you change operating interface whenever. Favorite and regular function let you easily find channels which you like . EPG function let you know next program in advance. TIME CONTROL have been added in order to control the progress of video.